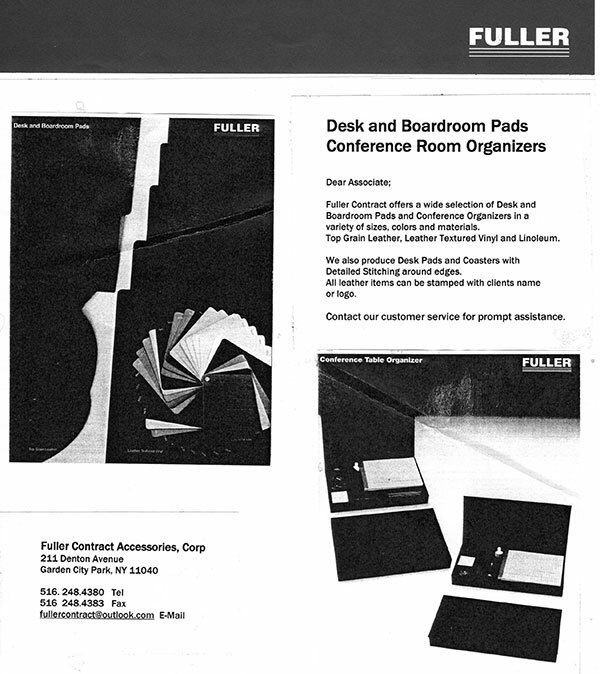 Fuller Contract Accessories was established for the sole purpose of offering the widest selection of contract accessories from a single reliable source. Over the years we have serviced the largest to the smallest customers with equal dedication. Fuller the originator of the "Quick Ship" program, offers many items illustrated in our catalog for "Immediate Delivery." The suggested manufacturer's list prices are for comparison only. Actual cost will be lower than prices shown. Please contact our Customer Service for net pricing. Fuller Contract is celebating their 48th year in business and want to thank you for your past support and look forward to working with you in the near future.